New sliding system. It can be adjusted with a simple twist of the wrist. Multiposition. 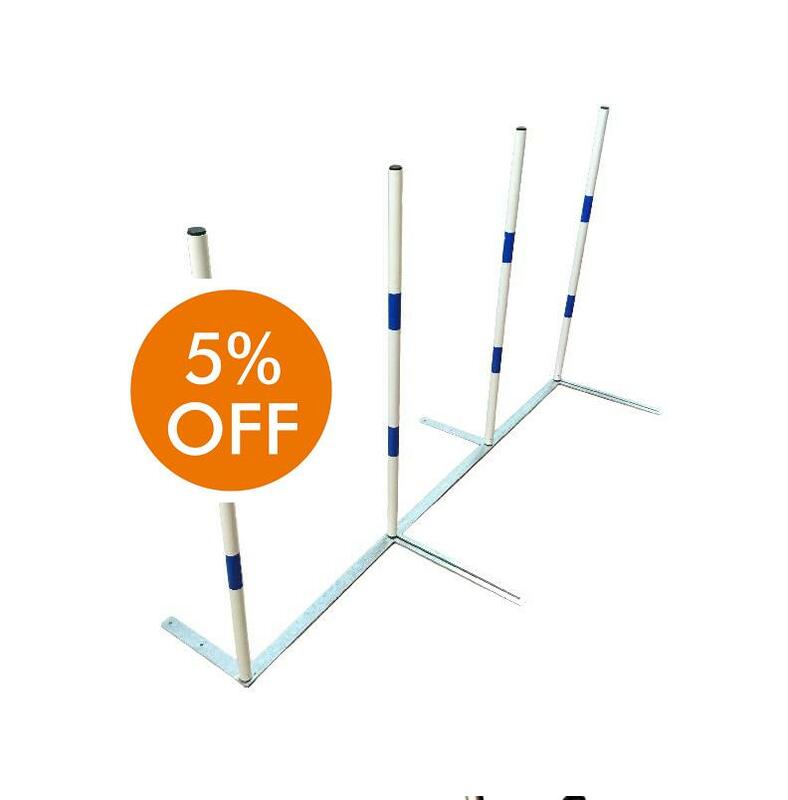 Very suitable for traing with different dogs and different learning stage due to its quick pole separation adjusting. Made of hot galvanized steel. White PVC poles. Built in three parts. If the poles are set in the central position (aligned), then it fulfills the Agility FCI 2012 regulations.